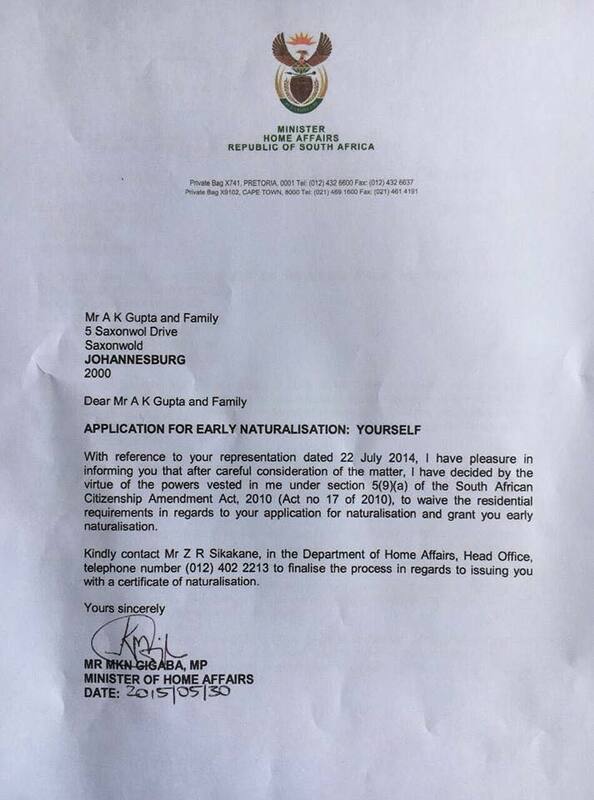 Was former Minister Malusi Gigaba within his rights to grant citizenship to the Guptas? 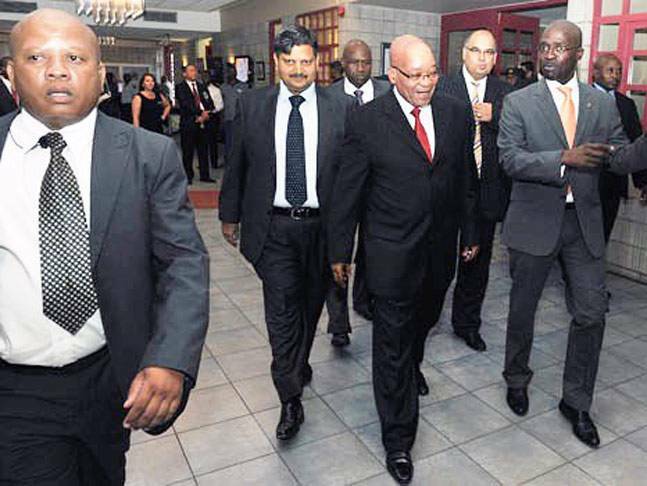 Home » Articles » Articles » Was former Minister Malusi Gigaba within his rights to grant citizenship to the Guptas? Former home affairs Minister Malusi Gigaba is in the hot seat after it recently came to light that he granted citizenship to certain members of the Gupta family in May 2015, following an initial rejection by the Department for lack of compliance with amount of time spent in the Republic as a permanent residency holder prior to application. 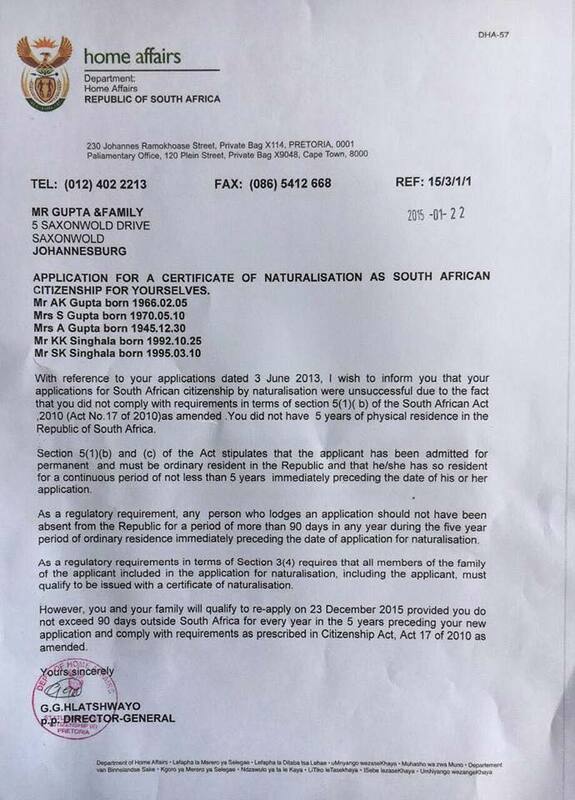 It appears as though Malusi Gigaba allowed for the early naturalization of members of the Gupta family on the grounds of early naturalization per section 5(9)(a) of the South African Citizenship Amendment Act 17 of 2010. Notwithstanding anything to the contrary contained in subsection 1(c), the Minister may under exceptional circumstances grant a certificate of naturalization as South African citizen to an applicant who does not comply with the requirements of the said subsection 1(c) relating to residence or ordinary residence in the Republic. As can be seen above, it is in the Minister’s ability to waive requirements relating to residence or ordinary residence in the Republic. In order to understand what exceptional circumstances surrounded the waiver of residency requirement for the Guptas, it would be important to see the written representations dated 22 July 2014 which are alluded to in the letter signed by Malusi Gigaba on 30 May 2015. It is also important to note that not all requirements pertaining to citizenship can be waived and applicant’s must still comply with section 5(1)(d) of the Citizenship Act, which relates to whether or not an applicant for citizenship is of ‘good and sound character’. Given the controversy surrounding the Guptas and their dealings with the South African government from the late 1980’s onwards, it would be interesting to see how granting citizenship to them was within his purview and in the interests of justice.